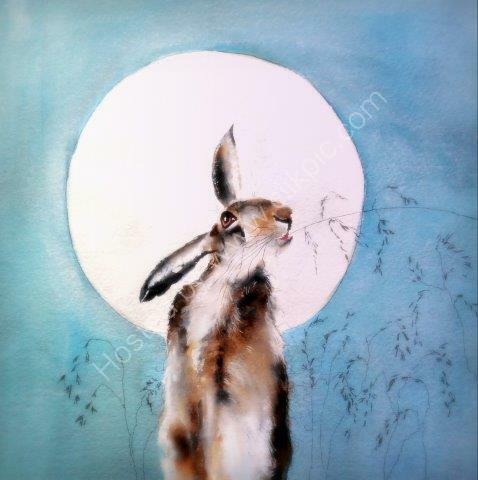 'Mystic Hare' is an original painting in watercolour. It measures 12" x 12" and is framed in white wood. Please email me for further details.